A Dinner Party. Who would have thought so many intriguing movies would revolve around this jumping off point. 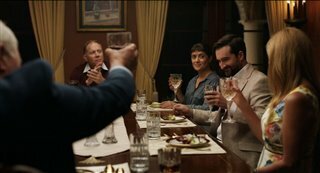 Beatriz at Dinner is the newest entrée, and it’s not one I’ll soon forget: the 7 dinner guests, the Newport Beach house where it takes place, and the conversation among equals and one accidental guest who doesn’t belong there. Beatriz is a healer, a massage therapist who treats cancer patients at a holistic no-frills clinic in L.A. She’s the kind of person who wears her heart on her sleeve and in her face–particularly her expressive eyes. Originally from a small Mexican village, she’s lived in the U.S. for many years, and she’s at the home of a wealthy client when her car breaks down and she has to wait for a friend to get off work and tow her home. Cathy, the client, invites her to stay for a small dinner party, and husband Grant reluctantly agrees. If only because Beatriz previously treated/bonded with their teenage daughter, who’s now in remission and away at college. The reason for the dinner is to celebrate a new real estate deal, and billionaire developer Doug Strutt is the guest of honor. Alex is the young attorney who just got a green light for Doug’s latest project, and Grant is playing host to the men and their wives. He’s gotten rich as the owner of the company that builds Doug’s projects: hotels, shopping malls, golf courses. Doug, however, is the only billionaire in the room, which means it isn’t truly a conversation among equals. As Doug says in his convivial toast, “Alex, if any of those efforts were illegal, I don’t know you, nor was I even here tonight.” Into their well-heeled celebration walks Beatriz, quietly at first, and then with gathering steam. Emboldened by her guileless curiosity–and a few glasses of wine–she seeks to know and understand these people, and she doesn’t much like what she hears. The film is described as a black comedy. I’m inclined to describe it as a drama with touches of humor, because the humor is as tension-filled as the drama. I don’t mean that as a criticism. I loved the film. I’m all for enjoying myself. In fact, I wish I were having more fun right now. Scientifically Doug is correct. The Earth is dependent on the Sun, and once our Sun star inevitably burns out, we’re done for–billions of years from now. Yes, you and I won’t be alive, but future generations still have a lot of living to do. Here’s something that’s been in the Dallas news, and I’d be surprised if it’s not happening in many other cities: large swaths of trees destroyed by company property owners without seeking the required ok from the city. This has happened three times in the last several weeks. Trees that were protected under the city’s tree ordinance. In one instance, the loss of 70 protected trees has left the neighborhood behind it much worse off. Instead of pretty foliage that buffers views of a highway, the neighborhood gets to enjoy increased noise and visits from all the animals that used to live among the trees. It’s easier for the owners to chop down the trees first and answer questions later. I’m beginning to sound preachy, but Beatriz at Dinner isn’t preachy. It moves merrily and not-so-merrily along. The ending builds to a crescendo. There’s a twist and a final twist, but the power of the movie lies in the sum of its parts and the performances of the ensemble cast, even though the meatiest roles go to Salma Hayek as Beatriz and John Lithgow as Doug. It’s a film that leaves you wondering. The conversation shouldn’t end with the movie. Something extraordinary is happening at a house that Frank Lloyd Wright built. The house is the Kalita Humphreys Theater in Dallas, the only free-standing theatre in the country built by the legendary architect. The extraordinary play is Inherit the Wind, which became an instant classic during its national debut on another small stage in Dallas in January 1955. Three months later it was on Broadway, and a few years after that it became an Oscar-nominated film starring Spencer Tracy. If you didn’t see any of those, you might have seen a production at your local high school. So why is a play based on the real-life Scopes “Monkey” Trial in 1925 (religion vs. evolution) still relevant today? Because it’s a metaphor for the Right to Think. “You see, I haven’t really thought very much. I was always afraid of what I might think–so it seemed safer not to think at all. But now I know. A thought is like a child inside our body. It has to be born. If it dies inside you, part of you dies too!” Rachel, a young school teacher in the play. She’s in love with the teacher on trial for teaching evolution, and she’s also the daughter of a local minister. One of the first things the play made me think about is the current debate over Climate Change. And what about Fake News? Republicans and Democrats both cry “fake news”, and the fact is it does exist. As human beings blessed with the ability to think, we’re in a position to sort through the news, separate fact from fiction, and zero in on the truth. Are we doing that to the best of our ability? You’ve probably heard about Macedonia, a small country in the Balkans, where Fake News is big business. Macedonia declared independence from Yugoslavia in 1991, but good jobs for young people are hard to come by. The town of Veles (population about 50,000) is home to over 100 websites dedicated to Fake News. Why? Because it pays. Facebook is the big engine that drives most traffic to news websites all over the world. When people visit these websites, which also contain ads, Google AdSense pays the website owner for each click. The more clicks the better for the owner. One underemployed young person in Veles figured this out. Others followed. They’ve bought domain names that sound legit and have been fooling people around the world ever since, including some main stream media outlets. These Balkan entrepreneurs don’t have a political agenda. They just publish the kind of fake news that draws the most hits. But here’s the thing. Most of this fake news is spread by social media and sometimes on TV. Newspaper readership is down, but it should really be up in a world where people want to think–where they choose to think. I don’t think the mainstream news media is our enemy. Sure there are overzealous reporters, just as there are overzealous businesspeople, lobbyists and you-name-it. Our Founding Fathers determined that a free press was essential to a democratic society. And a free press needs readers–the kind that think. Any story about Inherit the Wind would be incomplete without mentioning Margo Jones. Born in a little Texas town in “the Bible Belt,” she studied drama, travelled the world, lived for a time in NY–where she discovered Tennessee Williams and co-directed the premier of The Glass Menagerie on Broadway. In 1954, she was the director of a small Dallas theatre in Fair Park, which is home to the Texas State Fair. 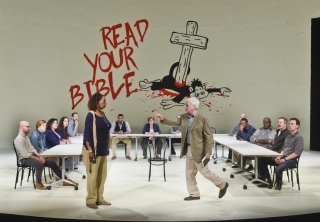 A friend told her about a play she might be interested in that had been turned down by eight Broadway producers, but said it would take “guts to do it in the bible belt.” She loved the play. So did the conservative audience in Dallas. So did the critics, and the rest is history. 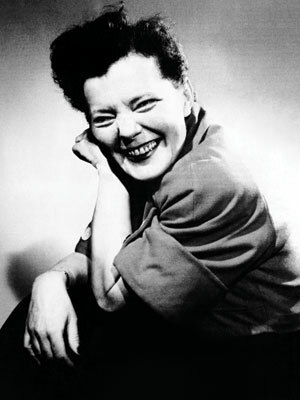 Margo is known today for launching the regional theater movement in North America. Sadly, she died at 43, accidentally poisoned by a chemical used to clean the rug in her apartment, only six months after launching Inherit the Wind. Not all good things comes to an end. Margo’s theatre is still in Fair Park but today it bears her name. 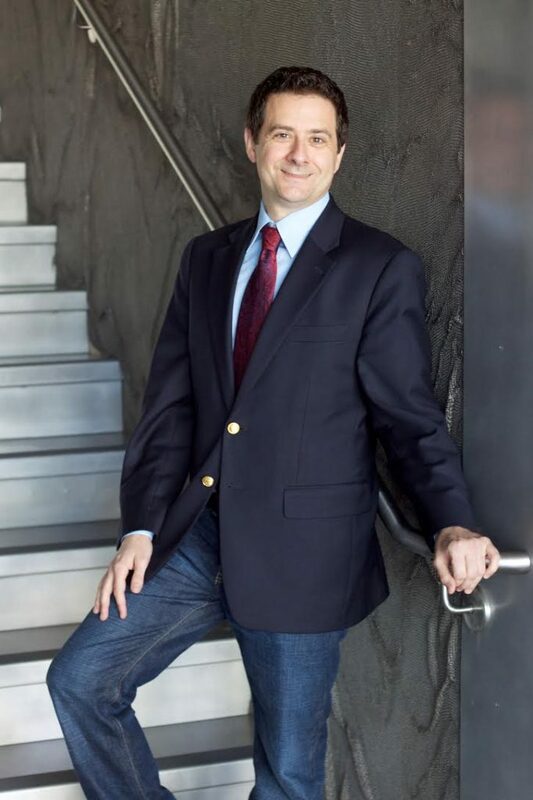 In 2009, the DTC moved to a larger home, The Dee and Charles Wyly Theatre, in the heart of the Dallas Arts District, but still uses the Kalita Humphreys Theater for some of its productions. And here’s some more good news, brought to us by the play. It turns out that religion and evolution are not mutually exclusive, that they can both thrive and co-exist. During the trial, Henry Drummond puts Matthew Harrison Brady on the stand as an expert on the Bible. (The judge has denied him three expert scientific witnesses.) When asked how old the earth is, Brady says it’s 6,000 years old, like the Bible tells us. Drummond asks: if local rocks and fossils are millions of years old, how can this be? Drummond then suggests: since the sun wasn’t created until the 4th day, maybe that first day of creation was millions of years long? Whether you’re the kind of person who plucks your apple off the tree of knowledge or you’re someone who questions religious faith, I think we can all agree that every human being is born with a brain–and the right to use it.